Cannabis likes it warm, but not too warm. An ideal grow space will be between 70 and 75 degrees Fahrenheit during the day and between 50 and 60 degrees at night. When temperatures get too high, a number of warning signs will emerge. Leaves may show yellow or brown spotting, or they may actually appear burnt in places. Leaves may curl up or down or fold inward. When plants experience excessive heat for a long time, new growth patterns emerge. They may, for instance, generate new buds on top of old ones in what are sometimes called fox tails. This is the plant’s attempt to abandon a bud that is failing to thrive because of heat exposure. The result is an airy growth that lacks substance. It can be easy to miss the signs of heat stress or mistake them for something else. Overfeeding, for instance, can also cause leaves to curl, although typically this condition won’t come with that same burned-out look. It’s important for a grower to carefully differentiate when examining a distressed plant. While overheating can severely damage a cannabis grow, there are a number of relatively simple measures that a technologically equipped grower can take to both prevent and remediate heat stress. Monitoring is a key step in heat management. An environmental management system should be implemented to track temperature, as well as humidity, nutrients, and other key factors. Equipped with such a system, a grower who cannot be on-site 24/7 still can observe temperatures and even make adjustments with a smartphone app. Low humidity can worsen the symptoms of heat stress, so keep an eye on this measure as well. Here, again, a system of sensors and monitors, along with remote management tools, can help a grower contain the issue relatively easily. The next step is to consider circulation and make sure the heat is distributed evenly throughout the room. A small fan blowing over the tops of plants can help keep hot spots from forming under grow lights. Experts recommend using a carbon scrubber to avoid pumping undesirable aromas outside. Position is also important. How close are your lights to the tops of your plants? Sometimes a small adjustment is all that is needed to bring the temperature down. Some trial and error may be required, but it’s worth the effort to find a position that gives the plants maximum light without the risk of overheating. In addition to watching for signs of heat stress, a simple manual check can indicate whether lights are positioned too closely to the plants. Hold your hand under the light at plant height for a minute. If the heat is too warm for comfort, you probably need to increase the distance. 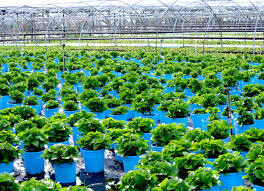 Likewise, it can be helpful to position plants in a way that allows free flow of air around the base of the plants. While heat stress shows up in the leaves, it can start in the roots. Keeping the roots cool is an important part of overall environmental management. Heat stress can damage crops if left unchecked, but it can be easily prevented. Technology gives the savvy grower an edge here. Sensors and monitors, paired with remote management, enable the grower to keep heat at appropriate levels without always having to be on-site.